The holiday craft fairs have kicked in – one right after the other. Offering an artisan craft is (happily) keeping us super busy – but, finding time to actually make the craft continues to be a challenge. Right hubby? We’ll figure this out, right? 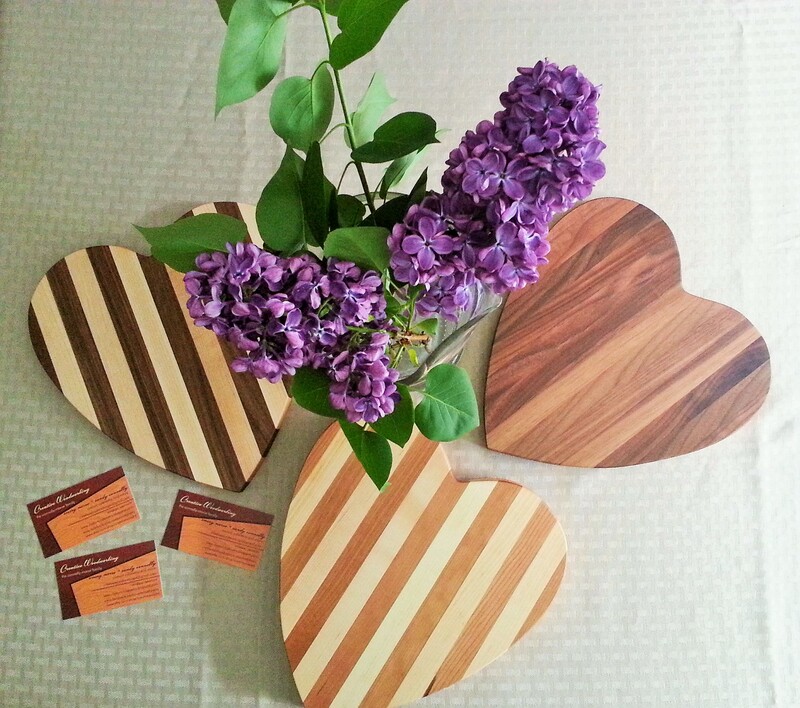 Cedar Hill Holiday Craft Fair was 11/7/15 Three Craft Fairs this weekend 11/13 – 14 in Windsor, VT. Our cutting boards will be at Mt. Ascutney Hospital on Friday and the Windsor Rec. Center on Sat. Then next Sunday (maybe our last show of the year) 11/22/15. Maybe? Excited to share with you our 1st large order (large for us) 14 pretty little hearts! Making them now and will be shipping them all to CT, just in time for a holiday party. Gallery and Gift Shop affiliations have also grown for us (yeah)!! We have a drop down link in our main menu to each gallery – advice is welcome on this feature. Thanks for stopping by – need to condition a few more boards that will join me tomorrow! 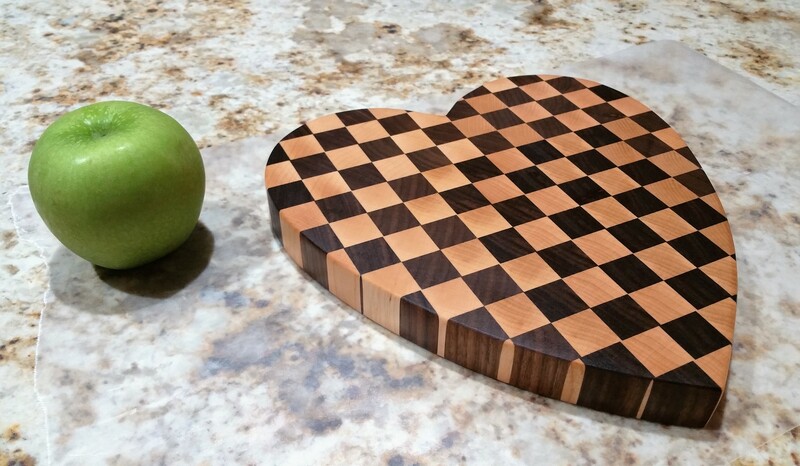 This entry was posted in Creative Woodworking, Events - Shows. Bookmark the permalink.